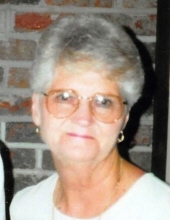 Opal Elaine Howard, 89, of Fayetteville passed away November 2, 2018. She was born in Meriwether County, Georgia on July 18, 1929 to the late Luther and Ruby Tenney. Opal retired from C & S Bank after 32 years and she was a dedicated member of New Hope Baptist Church, South in Fayetteville. A funeral service will be held at 1:00 PM on Monday, November 5, 2018 at the Chapel of Mowell Funeral Home, Fayetteville. Burial will follow the service at Camp Memorial Park, Fayetteville. The family will receive friends from 5:00-7:00 PM on Sunday, November 4, 2018 at the funeral home. To send flowers or a remembrance gift to the family of Opal Elaine Howard, please visit our Tribute Store. "Email Address" would like to share the life celebration of Opal Elaine Howard. Click on the "link" to go to share a favorite memory or leave a condolence message for the family.